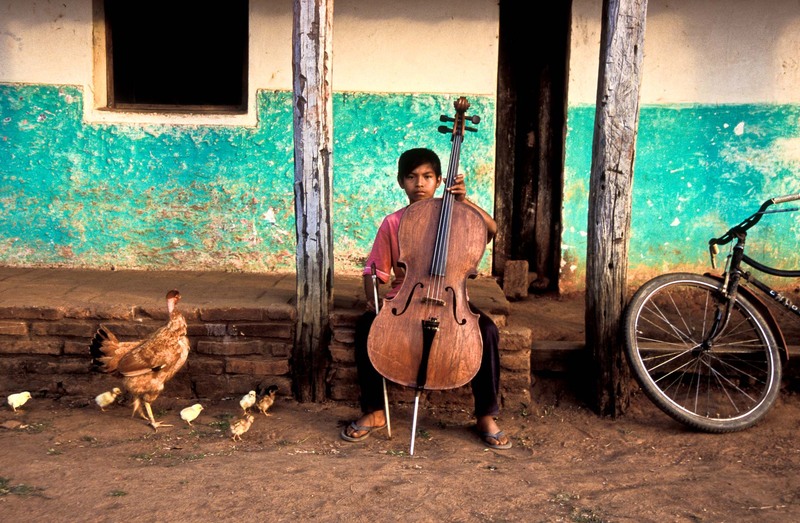 Froilan Yecocari (9), has being learning the cello for only 6 months. Began playing because he admired the older players of the Orchestra. He likes the instrument because he like what it "says". Would like to grow up as a music teacher, Urubicha, Bolivia.